Medical care is one of the most expensive services to be responsible for, especially if the care is inside a facility such as a hospital or specialty care center. Many times a patient will be held at a facility for weeks just so they can receive the proper medicines via intravenous therapy (IV). However, as the cost of hospital visits increase, alternatives to traditional hospital IV have also increased. CareMaster Medical Services is proud to provide Home Infusion Therapies for our clients across GA and AL. 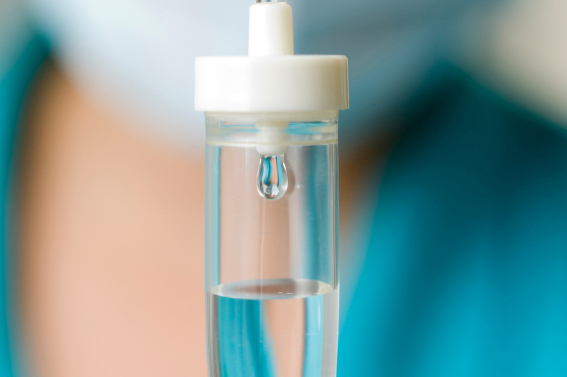 Often, Home Infusion patients have a caregiver at their home- a spouse, family, or friend who can assist the patient while they are receiving their IV Therapies. However, this is not a prerequisite for receiving Home Infusion. If a patient does not have access to a caregiver, we can assist you by providing the appropriate personnel to ensure that the patient’s needs and the care plan requirements are met. Today more than ever, the medical community is searching for alternative, cost-effective ways to provide the medical care patients need. Home Infusion is an example of how CareMaster is continuing to meet those needs. It can be very time consuming and tedious to coordinate Home Infusion services for your patients especially in rural areas. With one phone call to CareMaster, you can get the Home Infusion services you need, where you need them. Through CareMaster’s MedNet, a corporate network of medical professionals throughout Georgia and Alabama, we can connect infusion pharmacists that will work with us to implement your care plan in the rural or urban settings where your patients are. Your personal care manager can provide everything needed to implement your care plan from pharmaceuticals to home care supplies. You speak to the same care manager every time. Utilizing CareMaster’s Home Infusion Services is an efficient way to contain costs for the facility and the patient. Overall cost to the patient is reduced by 30 to 70% compared to a hospital stay. Also, since hospital beds are not being utilized by patients only requiring IV Infusion therapies, length of stay is reduced and productivity is increased in the healthcare system as a whole. By transferring the patient out of the hospital and into the home, patient satisfaction and moral will grow while costs and depression will fall away. At CareMaster we strive to ensure that your expectations are met and our standards of performance are upheld. Our Total Quality Management team works hard to listen and respond to our client and patient feedback. Our care managers who will supervise your care plan are Registered Nurses highly trained in Infusion Therapy, CCU and ICU. Our Director of Pharmacy is board certified in Nutritional Support and Infusion Therapy. With CareMaster, you can be assured that the people developing, implementing and supervising your care plan are experts in their fields. The CareMaster Advantage… Convenience, Savings, Quality – it’s just what you’ve been looking for.